Brian hasn't connected with their friends on Goodreads, yet. Brian Selznick has read 0 of 40 books. My first book, The Houdini Box, which I both wrote and illustrated, was published in 1991 while I was still working at the bookstore. Since then, I have illustrated many Hello there. 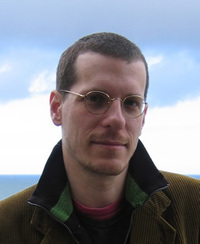 My name is Brian Selznick and I’m the author and illustrator of The Invention of Hugo Cabret. I was born in 1966 in New Jersey. I have a sister who is a teacher, a brother who is a brain surgeon, and five nephews and one niece. I studied at The Rhode Island School of Design and after I graduated from college I worked at Eeyore’s Books for Children in New York City. I learned all about children’s books from my boss Steve Geck who is now an editor of children’s books at Greenwillow. While I was at Eeyore’s I also painted the windows for holidays and book events. We’d love your help. Let us know what’s wrong with this preview of The Enemy by Lee Child.